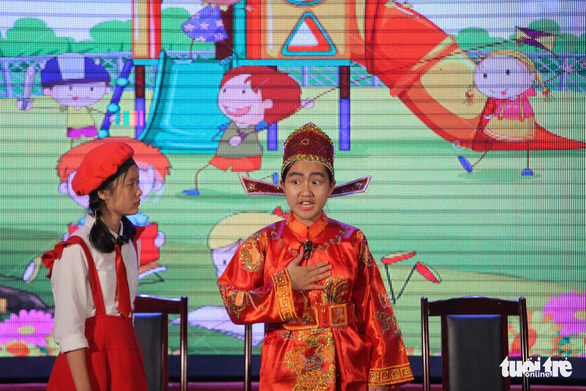 A competition that encouraged participants to adapt books for theatrical performances has been held as part of efforts to promote good reading habits in young children in Vietnam. The inaugural “Doc sach vi tuong lai” (Read for the Future) contest was initiated by the Central Council of the Ho Chi Minh Young Pioneer Organization in cooperation with the Vietnam Education Publishing House. Children between six and 15 years of age from across the nation were eligible to enter the contest by submitting their entries to the organizers. 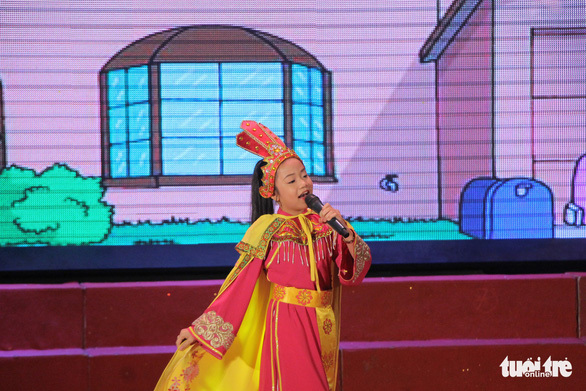 After a six-month preliminary round, six out of 15,000 contestants were selected to enter the finale in Hanoi on Saturday. 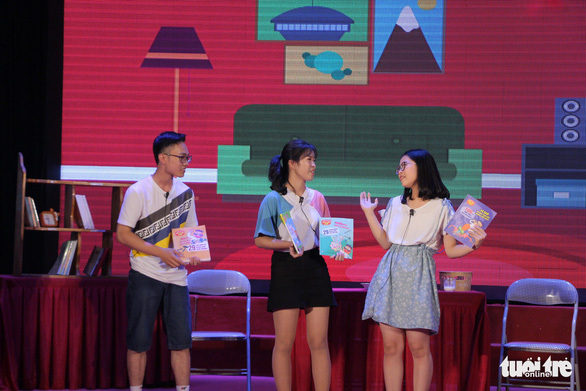 Each finalist had to choose one of their favorite books with a suitable topic for children and delivered a performance onstage in front of an audience. 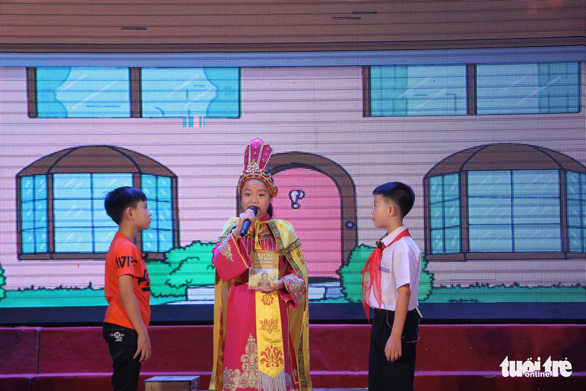 Dang Tu Thanh from Hop Duc Elementary School in the northern city of Hai Phong and Nguyen Anh Linh, a middle schooler from the northern province of Bac Giang, were crowned co-champions, whereas the other four finalists were runners-up. 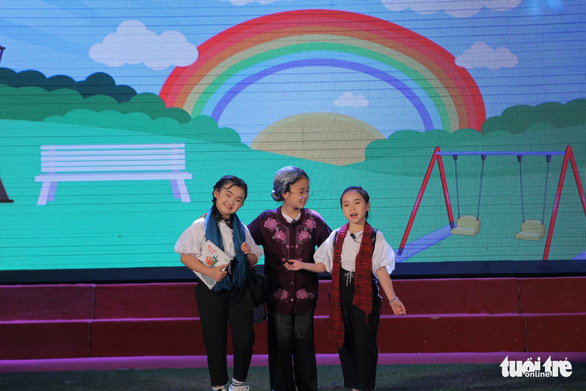 One of the second-prize winners, Hoang Tra My, from the north-central province of Nghe An, along with her teammates delivered a touching play of love and care based on the book Grandma’s Airplane by Japanese author Satoru Sato. Through the performance, the little girl said she wanted to convey the message that “love connects people and shortens distances." “Books are good teachers and reliable friends in which we can find a great source of knowledge,” said Linh, one of the contest’s two champions. Thanh, the other champion, hoped that students of her age would start reading books on Vietnamese history to enrich their knowledge and feel proud of their country. “The more I read, the more I understand that my knowledge is just a drop in the ocean,” she said.